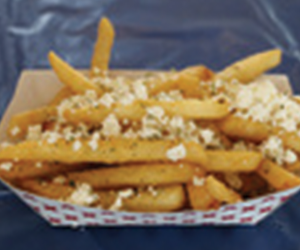 Fries topped with Greek herbs and Feta cheese. One charbroiled 6 oz. pork kebab seasoned with spices in olive oil and lemon. 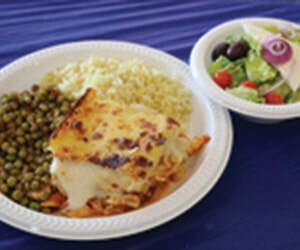 Served with a small Greek salad, Greek peas, rice pilaf ,and pita bread. 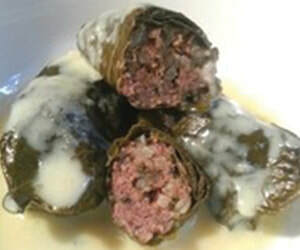 Made with 100% beef, fresh grape leaves wrapped around a blend of beef, onions, celery, spices, lemon, olive oil, and rice. 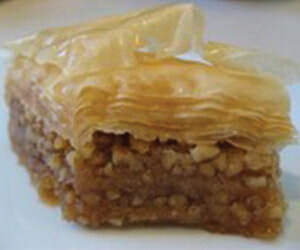 ​​A layered dish of macaroni with feta, seasoned beef, and topped with a béchamel. One charbroiled 6 oz. chicken kebab marinated with selected spices in olive oil, and lemon. 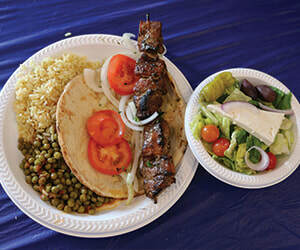 Served with a small Greek salad, Greek peas, rice pilaf, and pita bread. 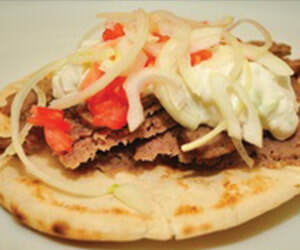 ​Shaved, seasoned roast lamb, served on a pita bread with tzatziki. 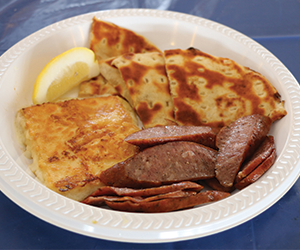 ​​ Greek peas, rice pilaf, one spanakopita or tiropita, and a small Greek salad. 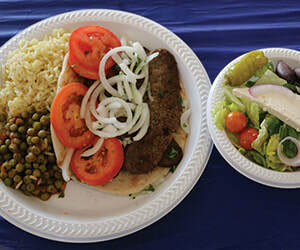 Shaved, seasoned roast lamb, served on a pita bread with tzatziki, a small Greek salad, Greek peas, and rice pilaf. One charbroiled 6 oz. 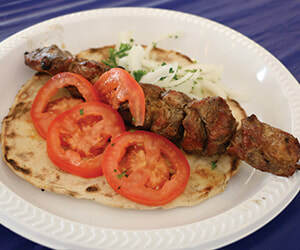 pork kebab seasoned with spices in olive oil and lemon, served on pita bread. 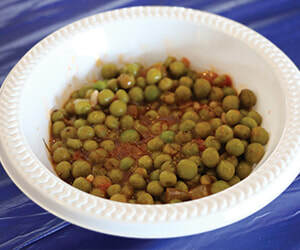 ​​ Greek peas, rice pilaf, and a small Greek salad without cheese. 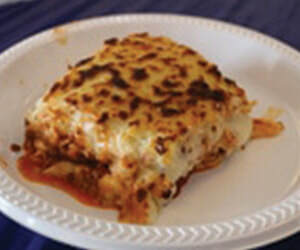 ​A layered dish of macaroni with feta, seasoned beef, and topped with a béchamel. 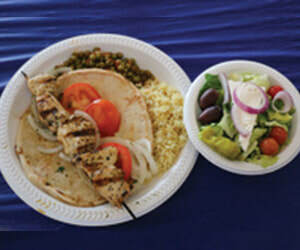 Served with a small Greek salad, Greek peas, rice pilaf, and pita bread. One charbroiled 6 oz. 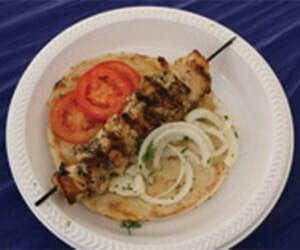 chicken kebab marinated with spices in olive oil and lemon, served on pita bread. 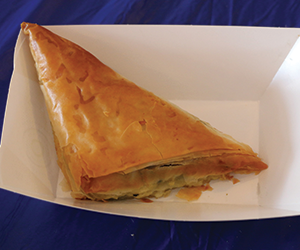 A spinach and feta cheese mixture or just feta and cheese mixture baked into a crunchy phyllo dough triangle. 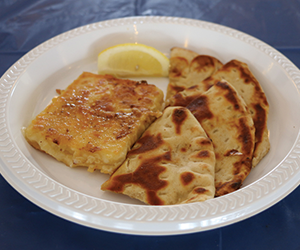 Traditionally prepared with tomato sauce, olive oil, and spices. 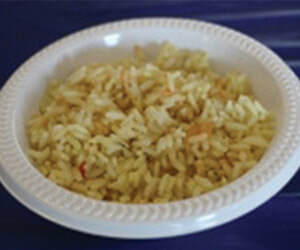 Rice prepared with vegetable stock and spices. 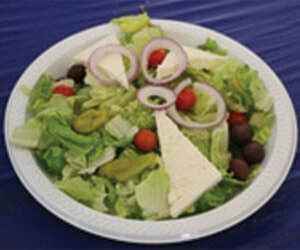 Chopped Romaine lettuce, topped with grape tomatoes red onion, kalamata olives, feta cheese, and pepperoncini. 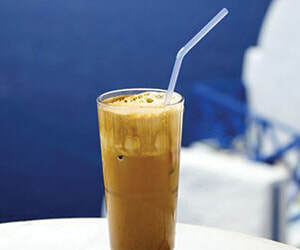 Served with Greek salad dressing. 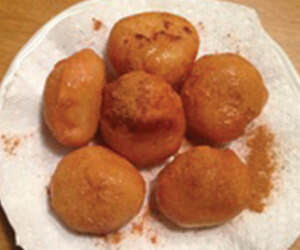 sweetened with honey syrup and flavored with cinnamon and cloves. 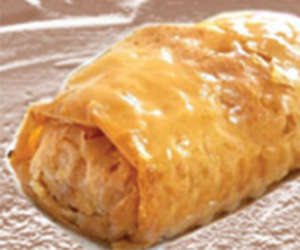 Traditional fabulous creamy custard, baked in layers of flaky phyllo dough, drenched in a delicious syrup. 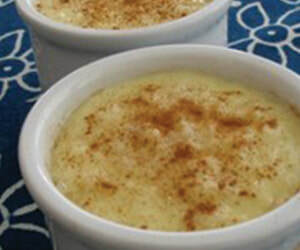 Classic creamy rice and milk pudding sweetened with sugar and flavored with vanilla. 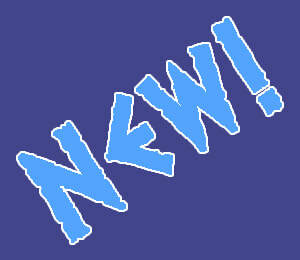 Try it sprinkled with cinnamon. 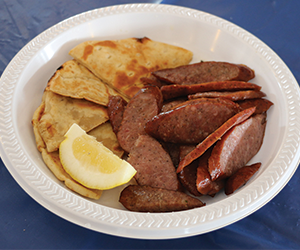 simmered with cinnamon and cloves. or drizzled with honey. Sprinkle them with walnuts and cinnamon. 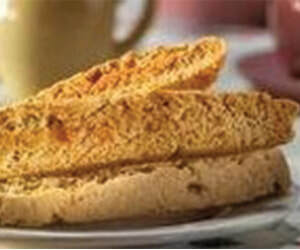 Crunchy Greek biscotti with a mildly sweet, nutty flavor. 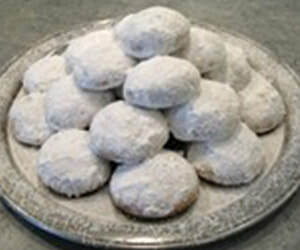 Light, buttery cookies with toasted almonds, covered in powdered sugar. 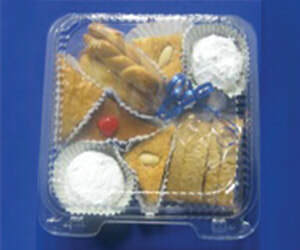 A variety sampler of our Greek pastries and delicious desserts, all in one box. 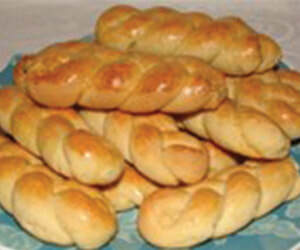 Makes a great gift or a special snack at home. 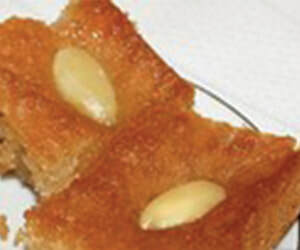 butter cookies with a hint of orange are delicious anytime. 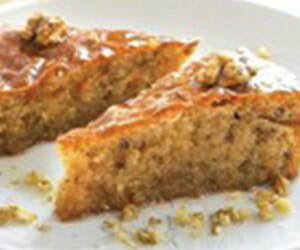 This sweet hearty cake is steeped in a fragrant cinnamon and clove syrup, topped with roasted almonds. 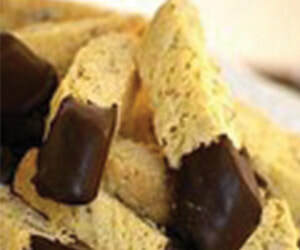 Crunchy Greek biscotti with a mildly sweet, nutty flavor. Great alone or dunked in a cup of coffee.